Explore our award-winning modern homes that capture the creative spirit of Asheville, NC. Our custom homes and spaces are built with eco-conscious materials and processes. 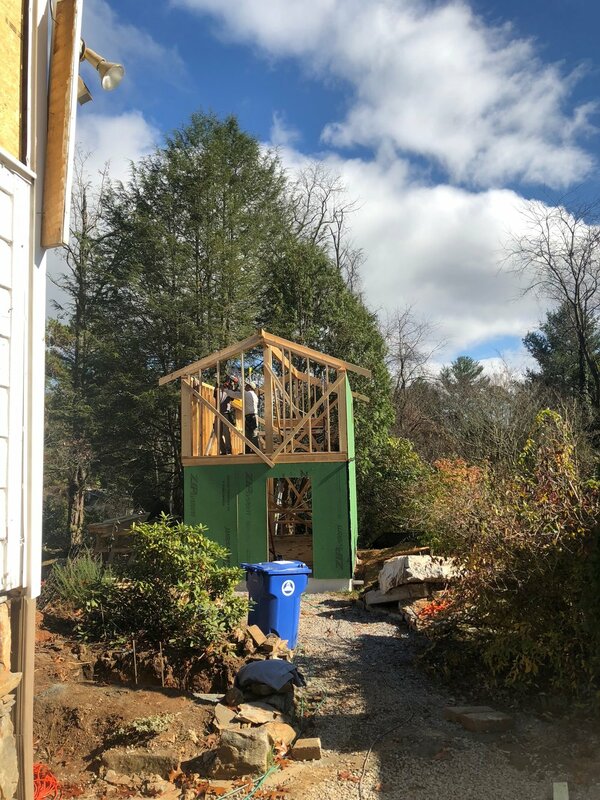 West Asheville Remodel/Tiny House Project! Its been a minute since we've updated our blog. That's because we have a lot of exciting projects we are working on. 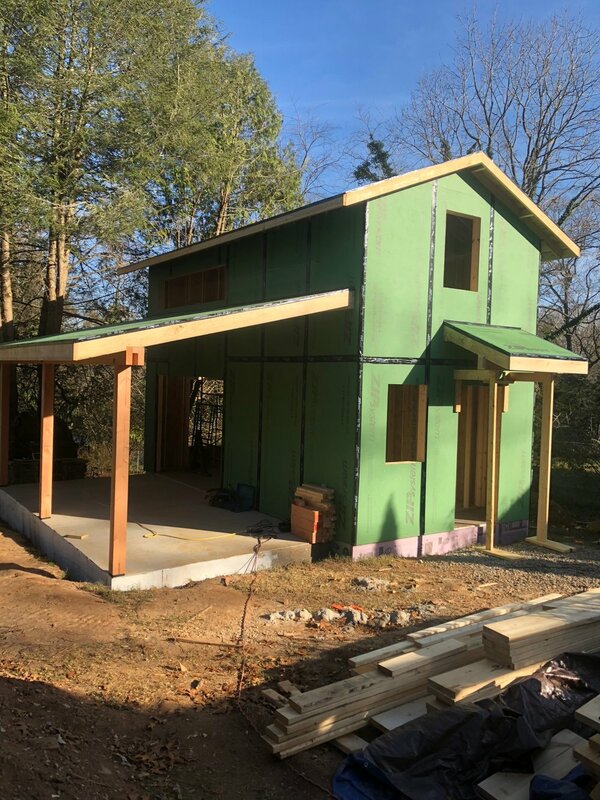 One of which is a West Asheville remodel with a tiny home, which is also know n as an ADU (accessory dwelling unit). 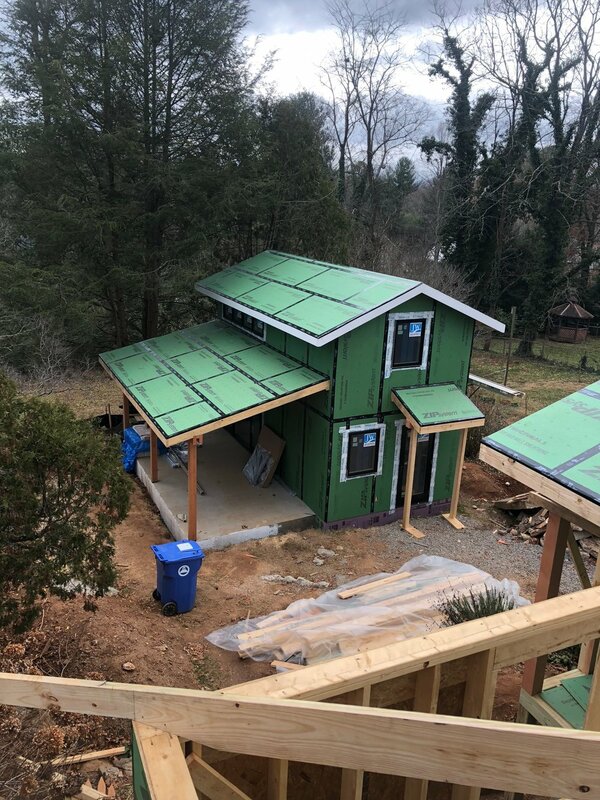 These ADU's are becoming wildly popular throughout Asheville, NC and they are especially desired in the tight confines of West Asheville. We only anticipating this sector of infill development to expand in Asheville since our mountainous terrain limits the amount of land available for urban sprawl. This particular project is in collaboration with the You Tube channel Threadbanger! It will be shown as an eight part series and aired on the Threadbanger You Tube Channel. We are only half-way completed with the filming so I can only share part of the excitement going on, but please feel free to subscribe to the Threadbanger You Tube channel to keep up to date with the action! The initial plan for this project was a partial house renovation only. However, Rob and Corinne (Threadbanger) decided they wanted to "vault" the ceiling add more square footage and build a tiny house. With the increased scope of work, clearly the job became more involved and exciting for us! 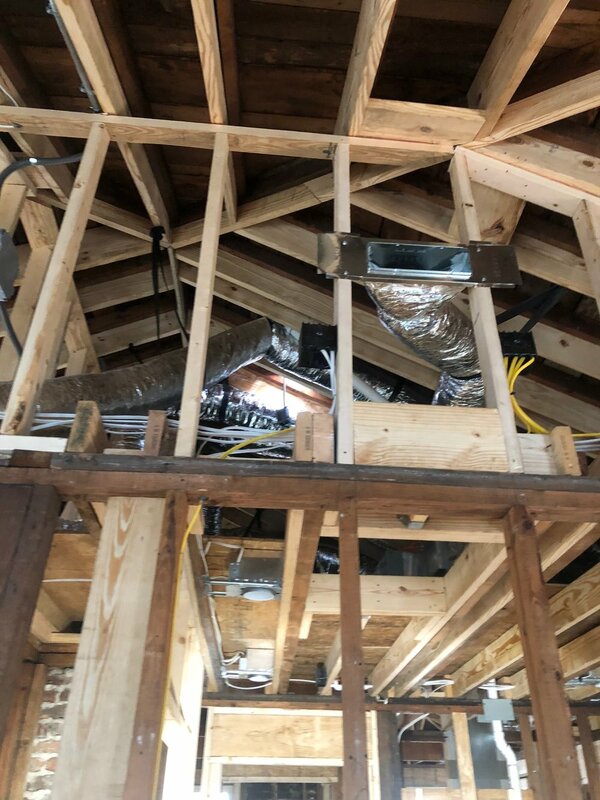 After reframing the entire roof system, we added a bathroom and screened porch addition off the back of the house. 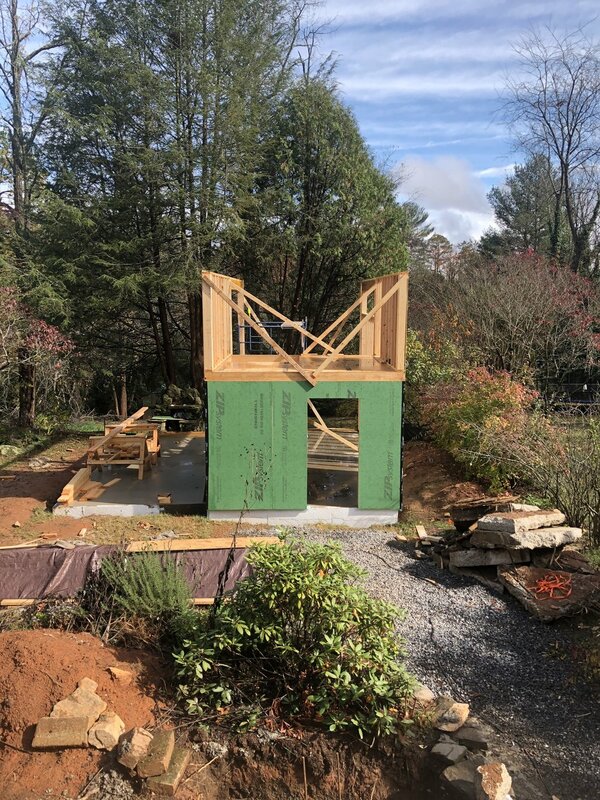 After pouring a monolithic slab, we began framing the tiny house in the backyard. The tiny house is approximately 400 square feet, complete with a spiral staircase and sleeping loft. Then we re-wired, re-plumbed and installed a new HVAC system in the main house/mini split in the tiny house. As well as install new Jeld-Wen aluminum clad windows throughout both the main house/tiny house. 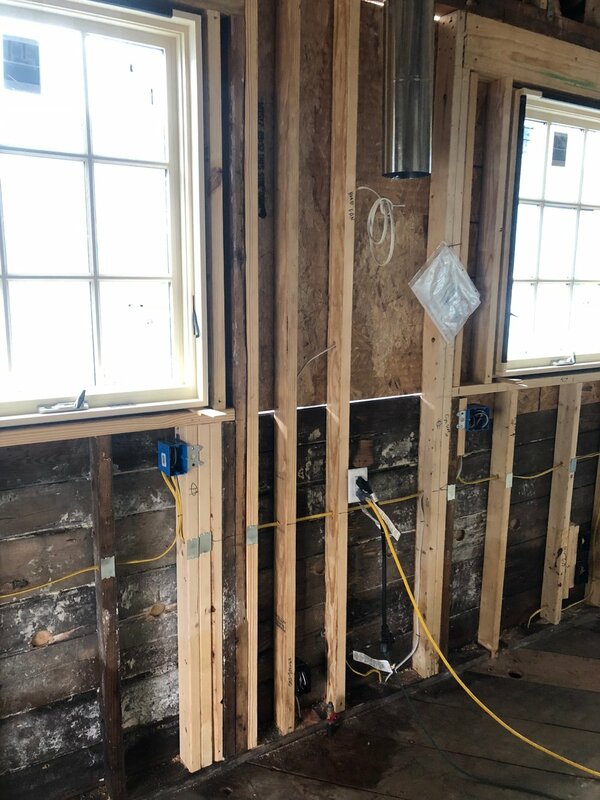 After passing all of our inspections, we sprayed open cell foam thruoghout the tiny house and main house walls. 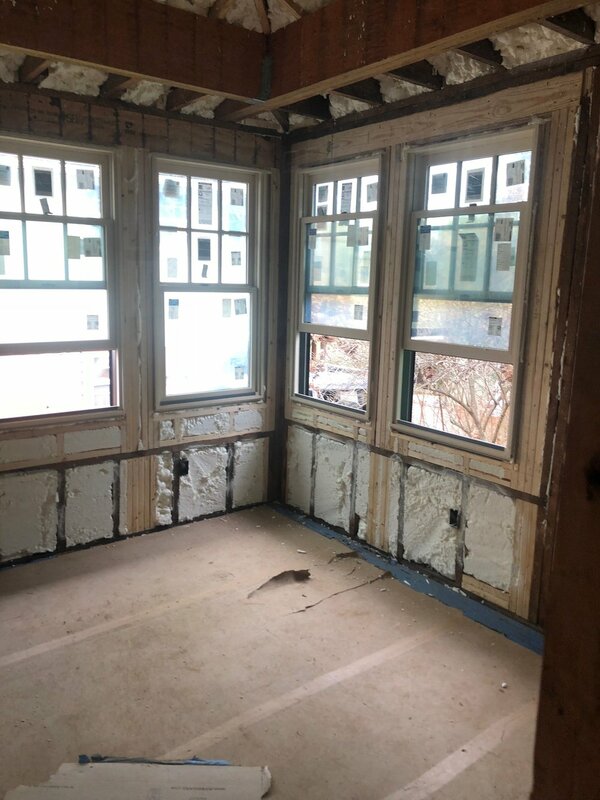 Foam insulation is the best product for sealing up an old drafty house. The tightness of this building envelope greatly improves the efficiency of this house performance. After insulation, we put up the drywall and primed it. Then we laced in new hardwood flooring with the original hardwood floors. Once we stain and finish the flooring the old and new will be extremely difficult to differentiate. That's all we can show for now, next blog we will revel the trim, siding repairs, tile work, and cabinet install. Stay tuned! We are a custom home builder with a focus on modern luxury homes. As well as, complete home renovations and commercial up-fits.